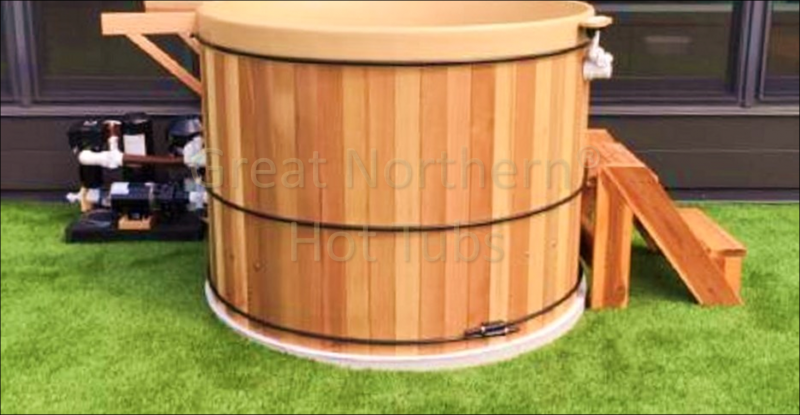 This customer's father had one of our Great Northern Rubadub Tubs® and loved his so much she got one for herself. This one is a 5' x 44" Rubadub Tub® in process of installation outside her penthouse suite in Minneapolis, MN with a standard equipment pack and optional steps, and brackets for her Roll-Up Cover®. She also built a box for her equipment to protect it from the Minnesota elements.